It’s been 5 days since the SpringHill summer ended. 27,000 children and teens, 1100 young adult leaders, 135 SpringHill locations in eight states, thousands of parents and families, volunteers, miles traveled, and, most importantly, 10,000’s of transformed lives. Yes, at SpringHill, we pack 80% of our direct missional work into 4 months. professional staff who worked hard the prior 8 months to have us ready for summer then served tirelessly almost every day, all day, for 4 straight months. summer leaders, who give up their summer to serve kids unselfishly, with great love, energy and passion. volunteers, ambassadors, and supporters who host, paint, drive trams, serve in our medical centers, provide meals, garden, and work in the offices, helping us create SpringHill Experiences. 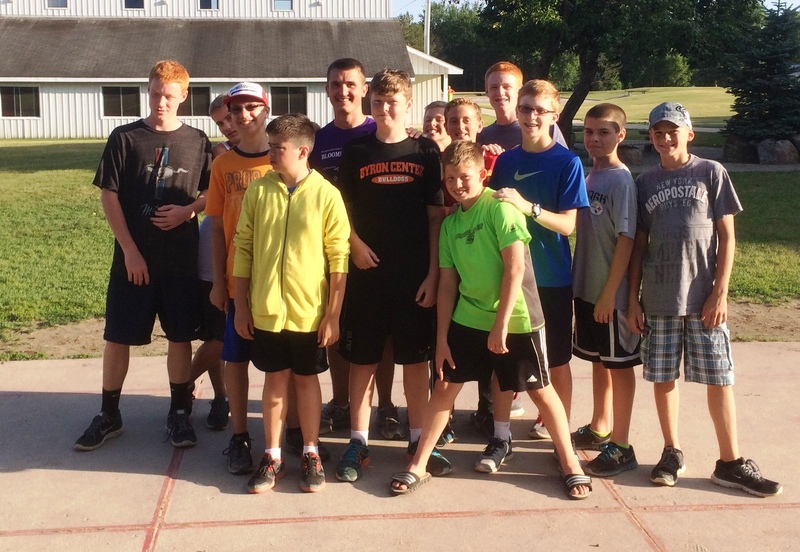 kids, families and partners we had the privilege to serve this summer. finally, I ran all summer on the energy provided by the Spirit, seeing, hearing and knowing that life changing, everlasting work was being done through that same Spirit in the lives of countless people. So, yes there’s a let down. Like finishing a long race, or accomplishing a significant goal, or coming off any adrenaline high, finishing a SpringHill summer means coming off the mountain. It means adapting to a new season of planning, steady work, and looking ahead to what’s next. So what do I do to overcome this let down? I look back over the past 4 months and remember and reflect on the remarkable stories, people, relationships, learnings, and growth that happened. I allow myself to bask in all of these for a while. This remembering positively answers the question, the question that so often leaks into my mind this time of the year, was it all worth it? I also begin to plan, set goals – both personal and professional – for not only the next 8 months but how I want next summer to be. I’m always looking for ways to make next summer the best yet. This forward look provides me new energy to tackle this next season with enthusiasm. I simply accept these moments will be part of my yearly rhythm, as long as I’m doing this work. I embrace it, and take advantage of the opportunities it provides. Finally, I make time to do those things (like read good books , go fishing, hangout with family and friends, or write again – ie. blog post) that I just couldn’t get to these past months. So as we tell kids at SpringHill, you can’t stay on the mountain forever – you have to go back home. For us, SpringHill summers don’t last forever either, we have to go back home (or to the office) and get ready for another summer. There’s new work to be done, places to go, people to meet. Next summer will be here before we know it when we’ll have another opportunity to experience it all over again. Recently I was at an automotive service business run by a past SpringHill camper. When I picked up my car I asked this SpringHill alum for a tour of his business. You see I was not only interested in learning about his business but more importantly I wanted to get a glimpse into the life of one of our past campers. Hearing him say this while sitting in the middle of his impressive business, brought to life the reality I’ve built my vocation on – that summer camp is an incredibly spiritual, emotional, and social building experience. Camp is one of those milestone moments where people’s live’s takes a quantum step forward. And this is why SpringHill is so committed to creating life-transforming summer camp experiences. We see no other short-term experience in the world that provides young people such a life-long payback than attending summer camp. If there were, trust me, SpringHill would offer it in a New York minute. But there just isn’t. 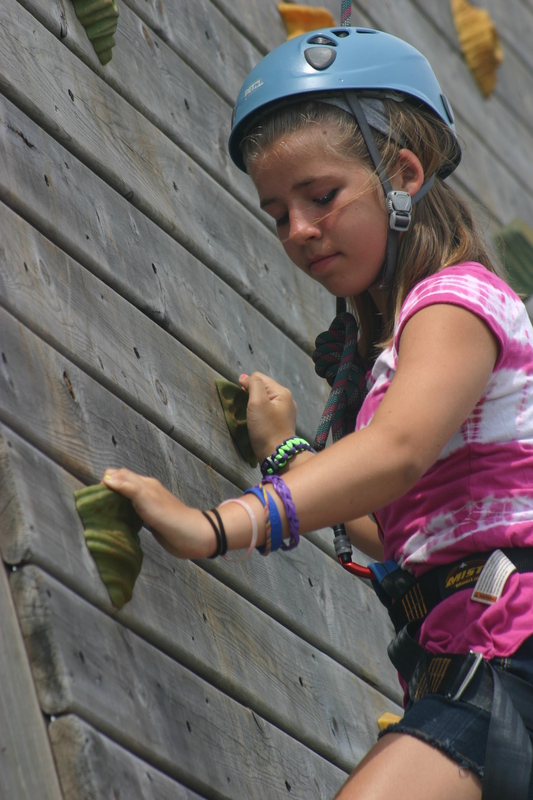 There’s no other experience that provides the breath and depth of personal, long-term growth than summer camp. Which means there is no better short-term investment with such a life-long payback that a person can make for the child they love then sending them to camp this summer. The Ultimate Blessing of Making a Lasting Contribution! Recently, in a 5 day stretch, my wife, Denise, and I attended funerals for three friends of ours and, maybe more importantly, friends of SpringHill. These three men and their families each made incredible contributions at critical junctures in SpringHill’s history. And by contributions I’m not referring just to financial contributions (though they’ve made plenty of those) but the kind of contributions that come as a result of hard work, energy and wisdom. For example, one of these friends, Scott, was on our board during the sensitive transition of leadership following the death of our second President, Mark Olson. Another, Herb, spent 23 straight weekends coming to our camp in Evart, MI to help prepare it for it’s grand summer opening in 1969. While our staff gave the third friend the nickname “Saturday Jim” because he was so faithful volunteering every Saturday. And believe me, this is just the short list of their SpringHill contributions. Frankly it’s hard to over state the deep, long and lasting impacts these men had on SpringHill, its staff and their ability to fulfill their mission and vision. As a matter of fact, I’m not even sure these men, before they passed on, were able to see with their mortal eyes the 100,000’s of people whose lives were, and will be, transformed forever because of their service. But the good news is I’m convinced that all three are now in Eternity and so are blessed to fully see the extent of their effort, including knowing every single person who benefited from their work. I believe this kind of sight, the sight we’ll have in Eternity, is one of the “jewels in our crown” we’re promised for remaining faithful like these three men were. Speaking of mortal sight, from my perspective, I can’t even begin to imagine SpringHill without people like Scott, Jim and Herb. Together they reflect the nature and beauty of non-profits. You see non- profits, like these three men, exist to benefit the common good and their only fuel is the passion, commitment, time, energy and resources of people who receive no other benefit from their contributions than the anticipation it all will make a lasting difference in the lives of people and in the world. So Herb, Jim and Scott thank you on behalf of 100,000’s of child, students, young adults, families and churches, past, present and future, for including SpringHill in your life. We’re all in a better place because of you. The Multiple Meanings of F.T.K. No, the letters F.T.K. are not secret code, and yes, they have meaning, serious meaning. As a matter of fact these letters stand for two significant but related purposes. These two purposes highlight the reason why over 1000 summer and year around SpringHill leaders just ran the sprint we call summer camp. It’s why they worked uncountable hours, at times in uncomfortable weather and conditions, and often enduring heartache and disappointment. It’s also why they experienced the joy of loving, serving, teaching, coaching, and leading nearly 28,000 children and students. F.T.K. moved these leaders to do all they could to assure campers had the best week of their year and the most transformative experience of their life. F.T.K. is also why 1000’s of supporters, ambassadors, prayer partners, volunteers, churches and families invest in the work SpringHill does every summer. It’s what drives the SpringHill family, every day, to be more creative in their work, and more effective in serving more kids, families and churches in more places. F.T.K. is how we ultimately evaluate the work we did this summer. 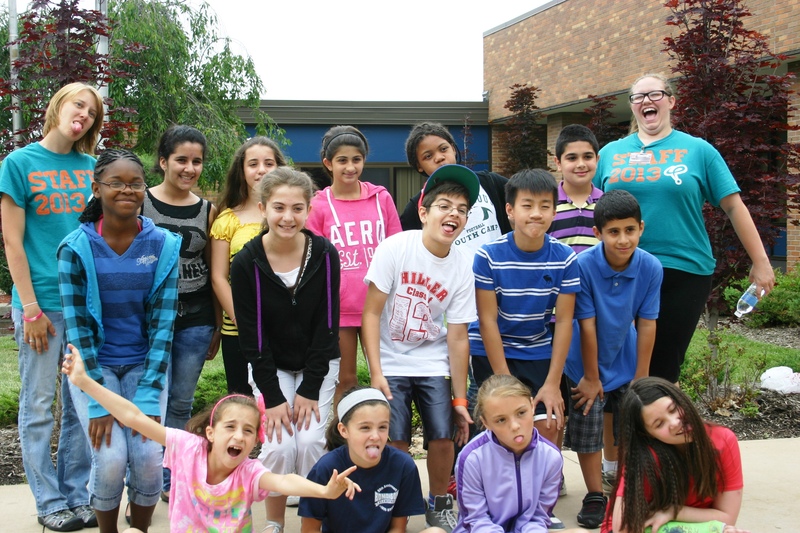 It is SpringHill’s plumb line, it’s what moves us, inspires us, sustains us and brought all of us together this summer. And it’s why, for the past 18 summers, I’ve devoted my vocational life serving SpringHill’s mission. And yes I know, if you’re not connected to SpringHill, you may not know the multiple meanings of F.T.K.. The words behind F.T.K. are significant yet quite straightforward. And as soon as you read them, you’ll understand why they are the guiding force of our work this summer. F.T.K. represents both – For the Kids, and – For the Kingdom. Hands down, with no serious rivals, there’s no better cause, no more important work, no better way to spend a summer than serving kids and His Kingdom. Just ask the 1000’s of people who did so this summer and the 10,000’s of kids, families and churches who experienced the fruit of their work. What are the Ingredients in a Dream Job? There are four factors that influence how much you’ll love your job – the organization you work for (including your direct boss), the lifestyle it provides (pay, hours, travel, location, etc. ), the actual work you do, and finally the people you work with. If your job is only good in zero or one of these factors, find a new one now. If two of these are present, it’s an ok job but don’t let it be long-term. If your job has three of four, it’s a great job. Four out of four, now that’s your dream job. This week I experienced a big dose of all of these factors, reminding me again why I have a dream job. First, I met with many of our board members to talk about how we can best organize our resources to accomplish our vision. Each meeting was a powerful reminder of the impact of SpringHill’s mission and the quality people I’m blessed to serve on behalf of. Next I spent a big part of my week in Indianapolis with all our SpringHill leaders at our annual Leadership Conference. The conference provided me an opportunity to do two things that I love to do – teach and learn. I was able to speak with our team about being a multiplying leader and I learned from our own team and SpringHill friends about building healthy team culture, living out the Gospel and preparing ourselves for leadership. But most importantly this week gave me the opportunity to spend time with a group of people I truly love – SpringHill staff. We worshipped, played (Duck Pin Bowling was a blast), ate, prayed, worked, learned, laughed, encouraged, challenged, and grew together as a team. 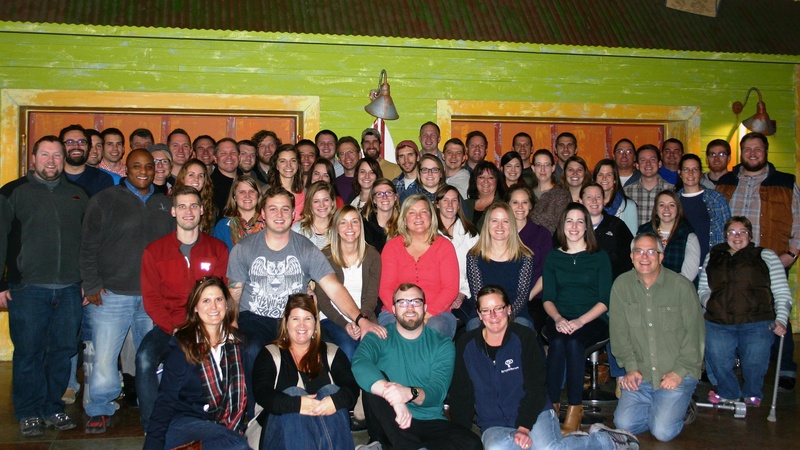 This group of people, and the incredible work they do, is why I’m blessed beyond what I deserve to have the job I do. This statement to me and a small group of our year around staff during the closing day of camp by a father of a camper with special needs. The father went onto explain that his son has been coming to SpringHill for a number of summers and it’s always the high light of his son’s year. It’s the week when his son feels accepted and loved like a “normal” kid. I believe it’s this acceptance and love that the dad was referring to when he said, almost to himself, “I only wish the rest of the world could be more like SpringHill”. Of course it’s always great to hear this kind of unsolicited feedback from a parent. Our goal is that every kid will feel like this camper, to experience the love of Christ through our staff and in the small communities we create. So with summer camp just ending (and I’m already starting to miss it), this father’s wish has had me thinking. I’ve realized his wish really isn’t a wish at all, but instead it’s our ultimate mission. You see at SpringHill we exist to create experiences (we call them SpringHill Experience) where Christ can transform the lives of young people. These experiences include embracing all kinds of kids, regardless of who they are, what they’ve done or where they’ve come from. Yet, as powerful as this is, the SpringHill Experience isn’t an end unto itself; it is part of something bigger. That something bigger is the Church’s work of bringing the values and reality of Christ’s Kingdom into the world. In other words, we haven’t thoroughly done our job unless our campers and staff are leaving SpringHill and bringing a little of it back into the world, making the world a little more like SpringHill, which really means making the world little more like Christ’s Kingdom. Every single day during the 100 days of our summer camping season, beginning with staff training, we’re serving and caring for some of our 25,000 campers and 1000 summer staff. As a result, every single day, for 100 straight days I make three specific requests to God. These requests not only reflect our organizational priorities and focus but they also reflect my own personal hopes and desires for those we serve and those serve alongside. My first request, because it’s our most important responsibility, is that our campers and staff are safe spiritually, emotionally and physically. I ask God to protect each camper, staff member and all those who visit our camps. And I pray for all our lifeguards, activity staff, counselors and other staff with the responsibility for the direct care of our campers. The second request I make is that God will, through the experiences we create, transform the lives of our campers and staff. I make this request because this is our mission, it’s why we exist, it’s what we’re to do (create experiences) and it’s the outcome (life transformation) we’re working and praying for. The answer to this request is when a camper or staff leaves SpringHill with new attitudes, behaviors and perspective on life that are more aligned with God than before they arrived. My final request is simply that we fill every one of our camp spots, that we’re granted the opportunity to serve as many kids as we’re capable of providing an outstanding SpringHill Experience for. This request reflects our vision of never-resting until every young person has the opportunity to hear, see, and experience Jesus Christ in a life-transforming way. So last week we crossed the half-way point of our camping sessions and God has been gracious in answering these prayers. It’s been a safe, powerfully transforming, and record-breaking summer at SpringHill. But the summer isn’t over; we still have more kids to serve and staff to lead, which means my work of making my three daily requests continues. Last week, the week we celebrated Independence Day, I experience part of today’s America I normally don’t see. It’s a part of America torn apart by poverty, broken families, prejudice, violence, and community breakdown. But more significantly I saw a glimpse into tomorrow’s America, with all its hope, its possibility of something better, of lives transformed, of families strengthened, and of communities revitalized. Yet this America is sitting on the precipice, either to continue today’s pattern of sliding towards the abyss or moving up to a better tomorrow. In the places I visited last week it’s tempting to write off tomorrow’s America because of what today’s America looks like, believing there’s nothing that can be done to change its course. But after last week, I’m more convinced than ever that tomorrow’s America can be significantly different, better, more like the America we want and, more importantly, one that more closely reflects the values of God’s Kingdom. 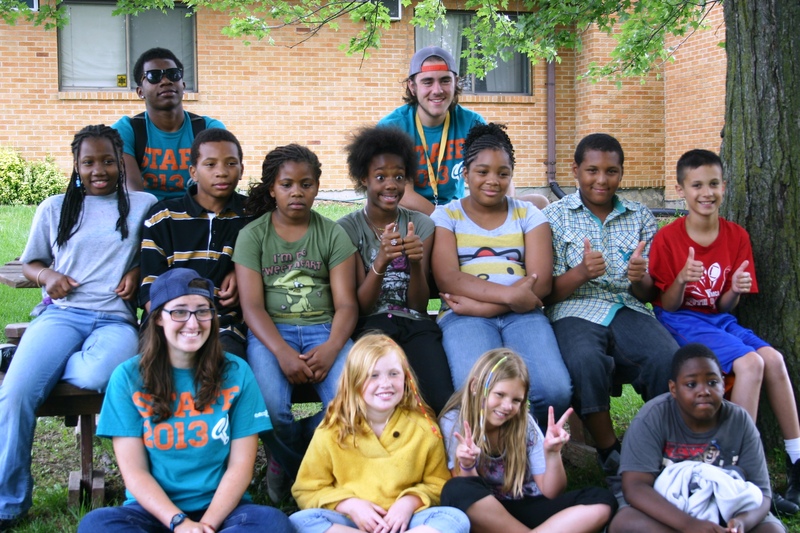 You see my wife Denise and I visited SpringHill Day Camp teams working in three locations in the Detroit metro area. Each team, along with our ministry allies, served children living in some of the harshest and most challenging situations found in America. These children included Iraqi refugees as well as children born in the some of the poorest inner city communities in our country. Yet in each location, with each child and ministry partner we interacted with, we sensed a hope that can only come through the Gospel of Christ. Now I’m convinced that each of the 300 or so children and their families we served can, with the help of God’s people, have a future reality that is different from their current one. And if their future reality is different, then our country will have one as well. I believe this to be true because I believe, in the core of my being, that our children are the hope of our country, the hope of the world, the hope of the Church. This is why SpringHill, and so ministries like it, have as its mission to see the lives of kids transformed. And it’s also why I’ve committed my vocational work to this same cause, the cause of Christ and of all kids. Photo by Todd Leinberger. 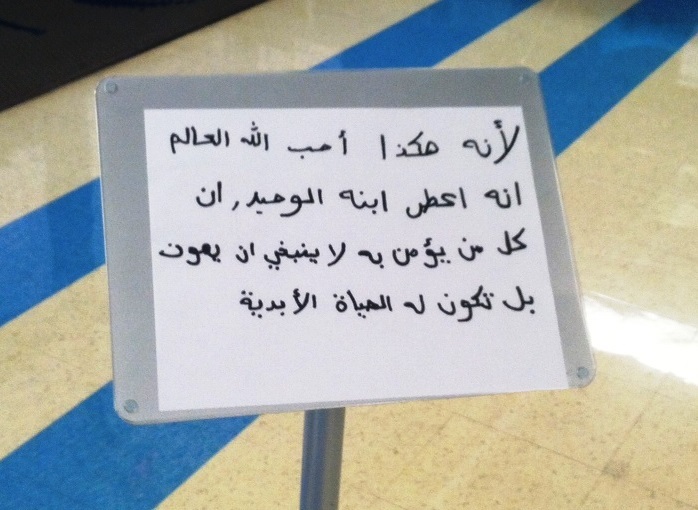 John 3:16 written in Farsi welcoming parents to camp. 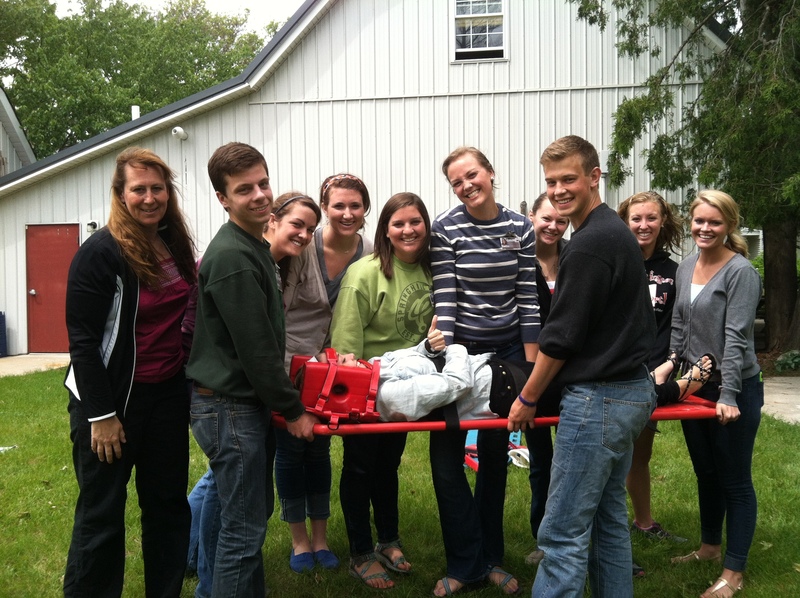 SpringHill summer staff in first aid training. This was the perspective expressed by a leader of a large Christian ministry at a round table discussion of Christian ministry CEO’s I participated in a couple of years ago. And after making his statement most of the other 20 leaders in the room all shook their heads in full agreement with many joining in with their own “horror stories” about working with those” darn twentysomethings”. Ironically, there was one other Christian camp CEO in the group and when we heard this statement and the following discussion we just looked at each other with our eyebrows raised. You see, Christian camp ministry’s built on the good and faithful work of those “darn twentysomethings”. We couldn’t do what we’re called to do, nor do it nearly half as well (nor nearly as fun) without them. This whole dialogue came rushing back to me earlier this summer as I interact with our nearly 1000 “twentysomethings” staff we hired to help us create SpringHill Experiences this summer. Instead what I see in our summer staff is the total opposite what these Christian leaders expressed in that forum. As I shared with that group of leaders we, at SpringHill, serve alongside young adults who are highly committed, deeply concerned about others and the world, and who are willing to make great sacrifices to advance Christ’s Kingdom. The final criteria for evaluating and choosing a camp for the kids you love is simply transparency and outside accountability. Without these two qualities it’s nearly impossible to evaluate all the other areas we’ve discussed over the past four posts. So in many ways you must begin your assessment here. Let’s first look at transparency. Transparency is the ability to see into something. It’s vitally important that there’s transparency in any organization that serves kids. There should be no dark corners or secrets when it comes to the care of children. Are tours available, especially during camp operations? You should expect to be able to visit and see camp. Has the camp been able and willing to answer all the other questions you’ve asked? Did you receive them forthrightly or was it a struggle? If a camp can’t or won’t answer your questions you don’t want to send kids you love there. Does the camp provide parents glimpses into a child’s camp experience via video, photos, text messages or emails? They should unless the program, such as a wilderness program, can’t accommodate them. How easy is it to connect to camp staff especially when camp is in session? What’s the process for doing so? You should be able to reach someone 24 hours a day, 7 days a week when camp is in session. Certification by the American Camping Association (ACA)? The ACA is the camping industry’s only general certification program. Their standards are high and the audits beneficial. You should think twice before sending your kids to a camp that has not been certified. Meet all state regulations and inspections. Note some states are better at this than others. 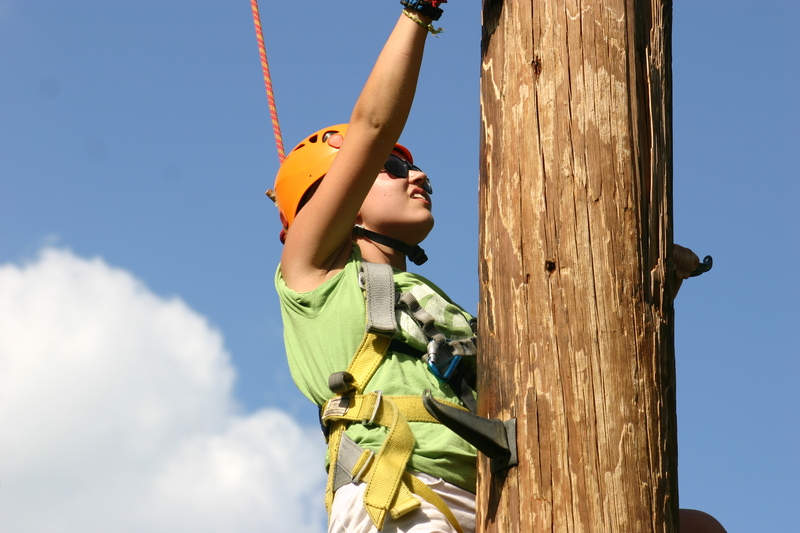 Outside companies that design and certify high adventure activities such as zip lines, ropes courses, climbing walls, etc. 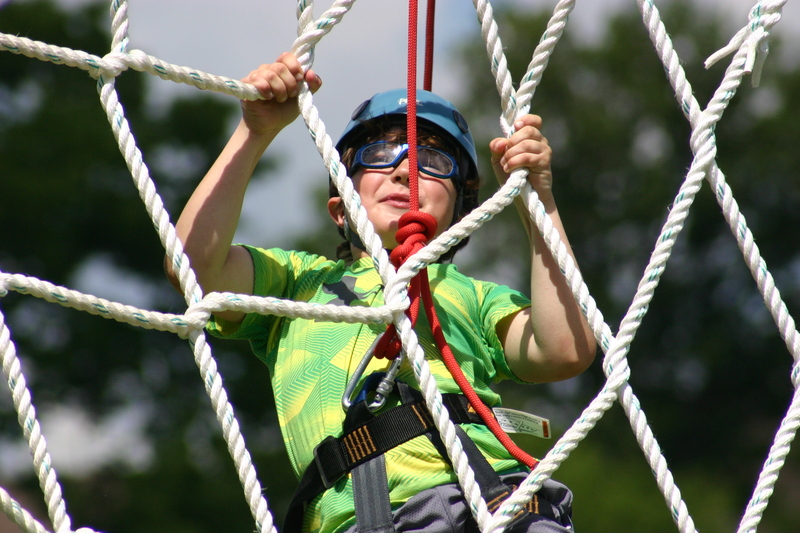 There are experts in this field that help camps operate and provide safe activities. Best Christian Workplaces certification or others like it. These outside firms provide insight into the kind of leadership and organization a camp is and how it operates. Evangelical Council of Financial Accountability (ECFA) or other outside financial groups that assures integrity in the camps financial practices. When you evaluate your camp options against the criteria from this post and the previous four posts you’ll make the right decision for the kids you love.